Newly married and looking for a home close enough for a Chicago commute, Cathi and Alan Murray were excited and happy when they discovered the Town of Pines, Indiana. The town of about 700 people abuts the Indiana Dunes just outside Michigan City. They bought a light blue, ranch-style home with a spacious yard big enough to hold the family’s flowers and bird feeders. Soon after, Cathi gave birth to two daughters. The family’s future looked bright. That was in 1990. Ten years later, their cozy life was shattered when the U.S. Environmental Protection Agency discovered chemicals from a nearby coal ash landfill in the town’s well water. The landfill, the site of more than 1 million tons of byproduct from a plant burning coal for electricity, was leaching heavy metals into the ground. Residents of The Pines — as the town is known — including the Murrays and their girls, were drinking poisonous water. Almost 20 years later, thanks in part to Murray, most residents now have municipal water. But more than three dozen still rely on wells. 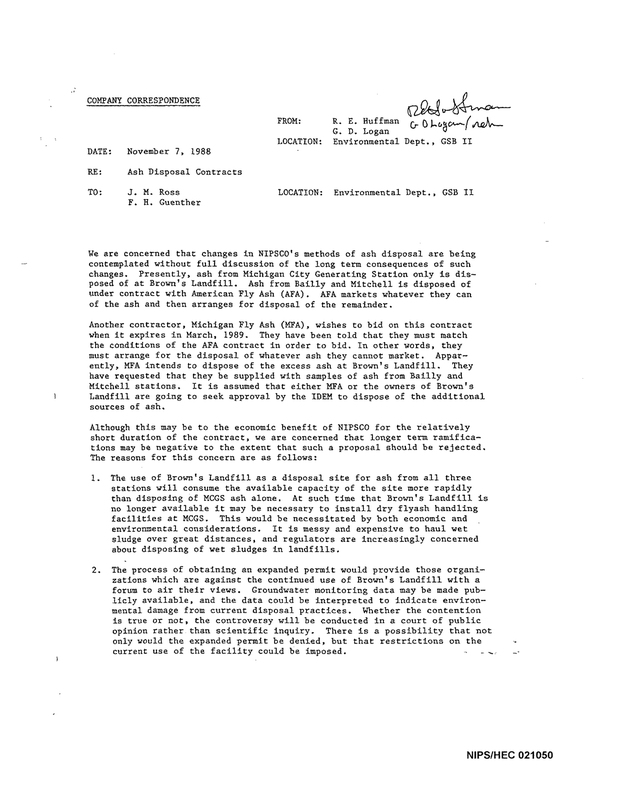 A memo obtained by Indiana Environmental Reporter (PDF) indicates the company that dumped the coal ash in the landfill, the Northern Indiana Public Service Co., knew about possible contamination problems back in 1988 but did nothing to remedy them until the EPA stepped in. Lisa Evans, senior counsel for Massachusetts-based environmental law firm Earthjustice, has supported Murray’s claims since the EPA’s discovery. Evans puts the blame squarely on NIPSCO, which owns the electricity plant. NIPSCO has not responded to repeated requests for comment on this story. The EPA ordered remediation of the problem in 2002, and most homes in The Pines were connected to municipal water. But 16 years later, 38 homes still depend on wells. Although the EPA tested some of that well water in 2015 and said it wasn’t contaminated by coal ash, some residents are skeptical. NIPSCO continues to supply the 38 homes with bottled water, which has led to suspicions that the well water isn’t 100 percent safe. The Town of Pines lies on a 2.25-mile stretch of land between state highways 12 and 20 along the Indiana Dunes. It’s a community of middle-class homes, many with an American flag in the yard, and an abundance of tall white pine trees that give the town its name. Along Route 20 sits what appears to be a large field with a locked gate. There’s no fencing surrounding the gate, and no sign announcing what’s behind it. On official documents it’s Yard 520, a partially lined coal ash landfill for the NIPSCO Michigan City Generating Station. According to the Hoosier Environmental Council, NIPSCO has dumped more than 1 million tons, or 2 billion pounds, of a potentially lethal sludge known as coal ash in Yard 520. Coal ash is the waste produced when power companies burn coal for electricity. The waste consists of fly ash, bottom ash, boiler slag and flue gas desulfurization materials, said Brady Hagerty, public information officer for the Indiana Department of Environmental Management. Coal ash can be dried and transported to landfills, or it can be dumped in more liquid form into open-air pits, or ponds. 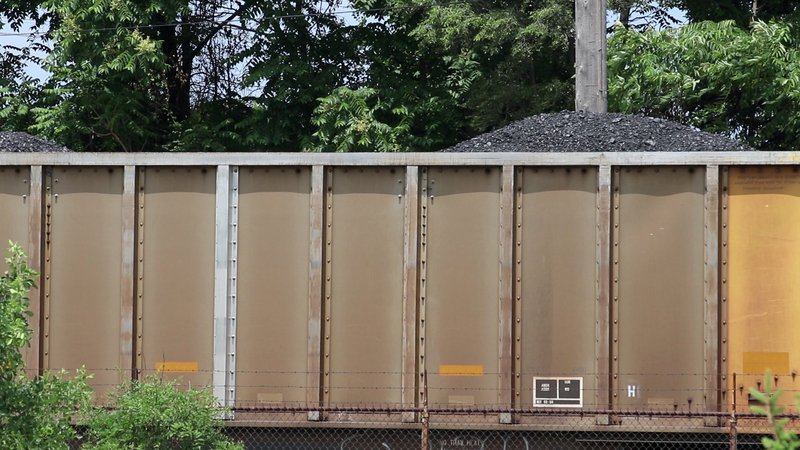 Dr. Indra Frank, director of environmental health and water policy for the Hoosier Environmental Council, said coal contains traces of heavy metals that become more concentrated in the ash that remains when coal is burned. These metals include lead, mercury, boron, molybdenum, cadmium and arsenic, all of which can all be hazardous to human health. “The real problem with coal ash is those metals that are in the ash can contaminate water,” Frank said. Indiana has 86 coal ash ponds and 13 landfills, the most in any state. Some are located near major waterways, including Lake Michigan, the Ohio River, the White River and the Wabash River. 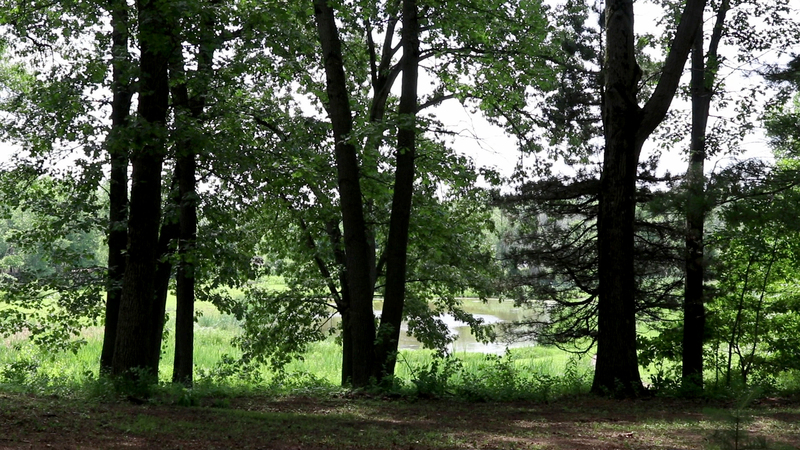 Of the 86 ponds, only 13 have liners to prevent the toxic ash from seeping into groundwater. In The Pines, the landfill sits on top of the town’s aquifer, at one time the residents’ only source of drinking water. And for many years, the landfill had only a partial lining. Indications that the town’s water might be exposed to contamination arose long before the residents were aware of the problems. Yard 520 sits on what was once a swamp. For decades, environmentalists worried the sandy soil and shallow aquifer would allow contaminants to leach into the groundwater and into the nearby stream running into the Indiana Dunes. When Murray researched the environmental history of the area around Pines, she sifted and sorted thousands of documents. She discovered concerns had been raised since the late 1960s about possible contaminated runoff into the Indiana Dunes and about odors in the water. 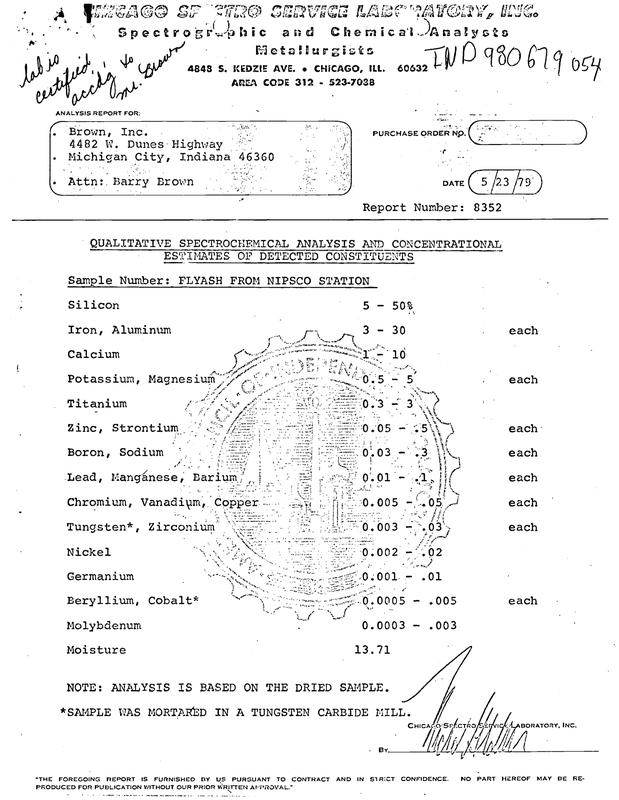 As far back as 1978, the U.S. Geological Survey found elevated levels of arsenic, boron, iron and manganese in the groundwater samples they collected on the landfill site, according to a 1982 report by Northern Laboratories. The report recommended further sampling to determine the extent of the contamination downstream, where The Pines is located. Indiana Environmental Reporter obtained an internal NIPSCO memo from 1988 regarding coal ash disposal contracts that specifically discussed the landfill near Pines. “We are concerned that changes in NIPSCO's methods of ash disposal are being contemplated without full discussion of the long term consequences of such changes,” begins the memo by two NIPSCO employees. The memo warns that if NIPSCO were to apply for an expanded permit to dump more ash into the landfill, it would provide organizations that oppose such an expansion with a public forum. “Groundwater monitoring data may be made publicly available, and the data could be interpreted to indicate environmental damage from current disposal practices,” the memo says. NIPSCO did not apply for a permit to expand its ash disposal in the landfill, nor did it appear to take any steps to investigate possible groundwater contamination or to remediate problems until required to do so by the EPA more than 20 years later. In 2000, one of the Murrays’ neighbors, Phyllis DaMota, noticed her well water tasted foul. DaMota called IDEM asking for the water to be tested. According to the resulting IDEM report (PDF), initial testing of DaMota’s well revealed it was contaminated with arsenic and benzene, known carcinogens. IDEM organized a meeting at the local elementary school to discuss the possibility of well water contamination. The Murrays attended. That meeting led to the formation of a citizen committee called People in Need of Environmental Safety, or PINES. Cathi Murray was put in charge of communications for the group. In 2002, at the group’s urging, the EPA began testing the well water of other individual homes in The Pines and found quantities of the metals arsenic, boron, manganese and molybdenum in excess of safe levels. According to the Centers for Disease Control, side effects of exposure to these metals include cancer, respiratory issues, insomnia, confusion, and liver and kidney damage. PINES wanted the EPA to conduct town-wide testing, Murray recalls. Initially, the EPA refused. PINES filed a federal lawsuit against NIPSCO, with Murray named as a complainant. The filing prompted the EPA to launch a more comprehensive investigation of the town’s well water. The testing showed the water was indeed contaminated, and that the source of the contamination was the Yard 520 landfill, owned by Ddalt Corp., operated by Brown Inc. and containing the coal ash from the NIPSCO plant. Among the sites with contaminated water was Pines Elementary School, where tests showed high levels of boron and molybdenum. And although testing was conducted in 2002, it wasn’t until 2004 that the EPA confirmed the results and began to provide bottled water to the school. That same year, the EPA named Yard 520 a Superfund Alternative Approach site. Under a settlement agreement, NIPSCO was ordered to cooperate with the EPA to complete the site cleanup. NIPSCO would pay for all costs associated with the site and would direct the cleanup, with oversight from the EPA. But the agreement meant Yard 520 would not be included on the EPA’s National Priorities List and would not be eligible for remedial action funding. In other words, NIPSCO — not the EPA — would be responsible for the cleanup. Bassler said procedures for investigating sites are largely determined by federal statutes. All sites are unique and are thoroughly investigated, she said. But Evans said the EPA’s decision regarding the cleanup in The Pines was inadequate. The Superfund Alternative designation was just the start of a lengthy and contentious process. After 2002, residents spent years calling and meeting with state and federal representatives and environmental groups across the U.S., writing letters and fighting for clean water. 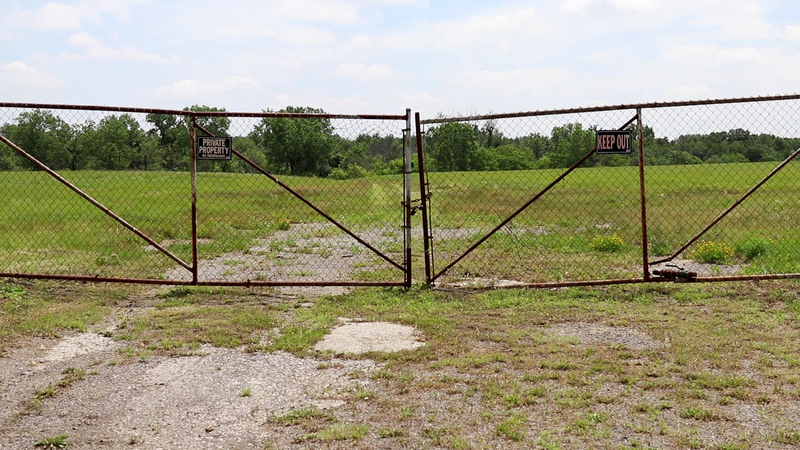 Eventually, NIPSCO paid for homes within the remedial investigation site to be hooked up to municipal water. But homes that fell outside the remediation area were excluded. NIPSCO determined there was no potential for those homes to have contaminated well water and, according to Murray, has no intention of connecting them to municipal water. NIPSCO has not verified these statements. Bassler at the EPA confirmed homes in the designated investigation area did not get municipal water because they were deemed to be outside the area where groundwater was affected by site contamination. Regardless, NIPSCO provided bottled water to homes still on well water and continues to do so. Residents asserted at a 2016 meeting with the EPA in Michigan City that the provision of bottled water points to a problem with the wells. The EPA says that’s not the case. Bassler said homeowners have the option of paying to connect to the water mains themselves. Murray worries about possible repercussions of having drunk contaminated well water, for herself and for her family. While pregnant and then nursing her two daughters, she drank a lot of water on doctor’s orders. “This whole time I’m thinking all this water I put into my body to take care of it and to take care of our daughters, what was I really doing to them? It’s kind of unnerving to really think about it,” Murray said. Seven out of the 11 members of the PINES group have thyroid dysfunction, known to be a risk with the consumption of coal ash. However, no studies have been conducted to assess potential health problems resulting from consumption of the contaminated well water, and no connection to the contaminated water has been proven. Once the pipes to municipal water were connected, many thought the town’s coal ash concerns were mostly resolved. But then a new problem cropped up. 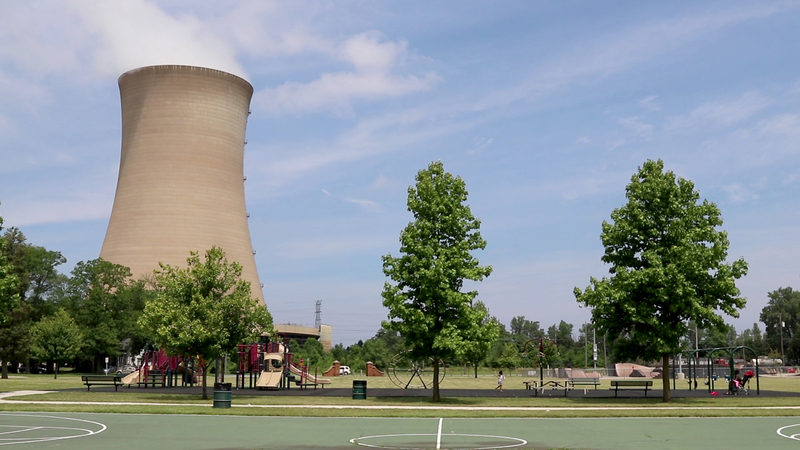 Coal ash had been used in and around Pines in the 1970s as fill in road construction, on low-lying properties, and even on the town’s playground. At the time, the IDH assured residents the construction ash did not pose a health risk. The state and federal governments classify coal ash as “solid waste” and rather than “hazardous waste,” which means it is subject to less strict controls. 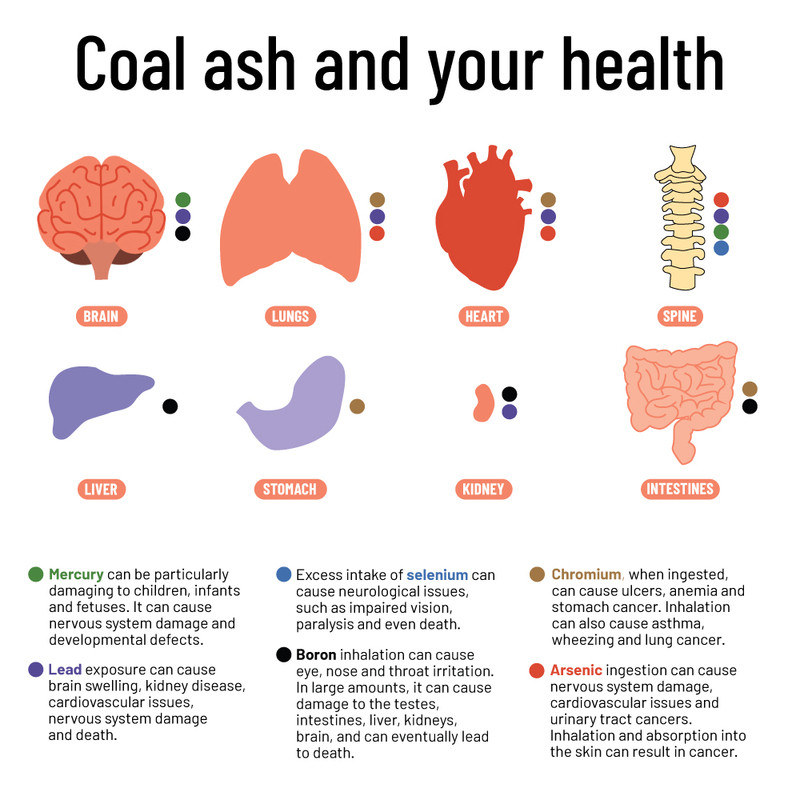 Having learned about the possible health risks associated with water contaminated by coal ash, Murray became concerned about the safety of the coal ash deposited around the town. She and a former EPA employee, Larry Jensen, who helped write a resource testing guide for radioactive materials at the EPA, took it upon themselves to find out exactly what was in the fill deposited around the town in the 1970s. They spent a summer placing monitors in residents’ yards to test for possible radiation. The monitors showed high levels of radiation, which Murray and Jensen believe is from the coal ash fill. The EPA disputed the findings and conducted its own testing. 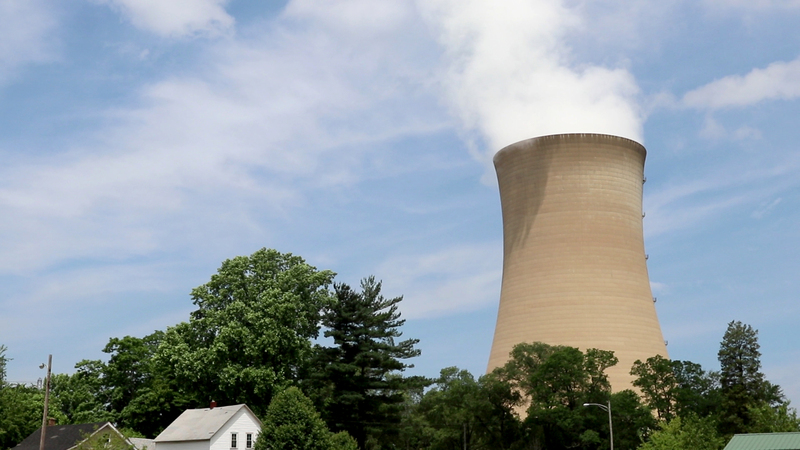 It found no radiation but did discover levels of arsenic that posed an unacceptable risk. Arsenic is classified as a solid waste contaminant, and IDEM and the EPA require it to be removed from contaminated sites. However, unlike radiation, it does not meet the EPA’s definition of hazardous waste and therefore is subject to less stringent — and less costly — cleanup standards. With funding from NIPSCO per SAA guidelines, the EPA subsequently began to remove arsenic from sites where coal ash fill had been used. But Murray remains dubious about the EPA’s findings and the fact that they didn’t detect the radiation she and Jensen found. Evans said the classification of coal ash as a non-hazardous waste was a political and business decision. “Coal ash meets the scientific criteria established in the EPA regulations for categorization as a hazardous waste,” Evans said. “EPA's primary reason was purportedly to protect the reuse of coal ash as fill and as ingredients in concrete and wallboard, which it stated might be hampered by a hazardous waste listing. National EPA spokeswoman Tricia Lynn told the Indiana Environmental Reporter that reuse of coal ash as an addition to construction materials such as cement, concrete and wallboard was approved in a 2000 EPA ruling. That regulation will remain in place “until additional information becomes available on a number of key technical and policy questions that are directly relevant to making a final determination,” she said. That ruling distinguished between coal ash that should be disposed of and coal ash that can be used beneficially. It determined that if coal ash was hazardous, it wouldn’t have been allowed for construction or as fill, as it has for many decades. The ruling was made under President Bill Clinton and survived a major overhaul of coal ash rules in 2015 under President Barack Obama. What the 2015 Obama regulations did do was institute stricter coal ash directives after significant spills in Tennessee and North Carolina polluted surrounding land and water. According to the EPA, the rules established minimum national standards for the location, design and operation of new and existing landfills, and surface storage areas containing coal ash. But in 2018, under President Donald Trump and after lobbying by industry officials, the EPA revised those regulations to give states and electric utilities more authority in handling the disposal of coal ash. The changes have been criticized widely by environmental groups, including Earthjustice and the Sierra Club. “Wheeler is on course to give industry exactly what it asks for, regardless of the damage it wreaks on our drinking water and health,” Evans told The Washington Post in July. Murray said until all her neighbors have safe, clean water and soil, her work isn’t finished. “I don’t know that I will ever feel that is completed because I don’t know I will be around that long to see it done,” she said. 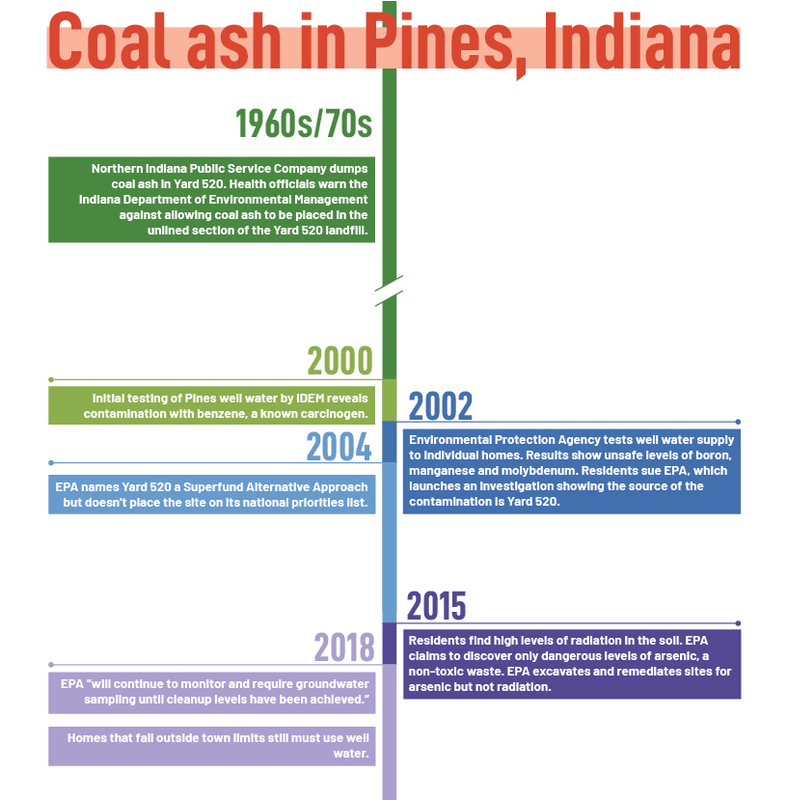 As the EPA begins to roll back 2015 Coal Ash Disposal Regulations, what’s happened with The Pines might have an impact on other towns in Indiana due to the large amount of coal ash within the state. New EPA regulations propose giving each state the right to suspend groundwater monitoring in certain cases, the ability to determine if a utility’s facility meets adequate standards and the right to allow coal ash ponds to remain in use for a longer amount of time. “If the EPA’s rule changes for coal ash are implemented in Indiana, they will set Indiana up for more groundwater contamination, a reduction in the number of contaminated sites that get cleaned up, slower cleanups for those that do, and a higher risk of coal ash spills,” said the Hoosier Environmental Council’s Frank. “Absolutely, it can happen anywhere,” she said. “We’re like everybody else. We’re middle class, have children, are blessed that we live in these gorgeous surroundings by the Indiana Dunes. We are really good people who unfortunately were put in a very tenuous and horrible situation. IDEM spokesman Barry Sneed said IDEM is in favor of the new EPA revisions, saying they simplify portions of the state’s rule writing process and provide continuity of regulations across the U.S.
“In particular, the revisions to 40 CFR 257.90(g) help better identify the information necessary to make a determination on suspension of groundwater monitoring requirements,” Sneed said. Even after what coal ash has done to her town, Murray isn’t against coal or coal-fired power plants. The fight hasn’t been easy for Cathi Murray. She was the public face of PINES and says she faced years of personal backlash from those in charge of the remedial investigation. Her home was the very last to be hooked up to the municipal water supply, a fact she attributes to authorities’ displeasure with her activism. Some people in town have asked her to be quiet, to stop bringing up problems from the past that could hurt current property values. New families have moved in who weren’t a part of the original fight, and Murray says the sense of urgency has dissipated. Others have thanked her for her diligence and have asked her to stay on the town council and continue to advocate for the town. She has one more year left in her term, and she thinks it might be her last. Murray believes the struggle has been worth the personal cost to her and her family. She has even inspired the next generation. Her youngest daughter earned a degree in environmental studies and works at the Indiana Dunes as a naturalist, educating children about the environment. “I’d like to think maybe our involvement in activism had something to do with her interest in that,” Murray said. The residents in the Town of Pines have been fighting the effects of coal waste for 30 years, having their well water and soil contaminated by coal ash from the Yard 520 landfill. The coal burning NIPSCO Michigan City Generating Station has dumped over 2 billion pounds of coal ash in Yard 520. In 2004 the EPA named Pines a Superfund Alternative Approach Site.